Meet the Ram 1500 Rebel Concept and Ram 1500 Big Horn “Low Down” Concept. FCA's Ram truck brand is no stranger to building badass concept vehicles. Back in 2016, , which looked like the perfect Ford F-150 Raptor fighter. At this year's SEMA Auto Show, FCA is going all in with 14 customized vehicles in its 15,345-square-foot exhibit. Mopar will be bringing not one, but two customized Ram 1500 trucks to SEMA, where they will surely impress the crowds once again. Introducing the Ram 1500 Rebel Concept and Ram 1500 Big Horn “Low Down” Concept. Let's start with the Ram 1500 Rebel Concept. Mopar pulled from its catalog of over 200 parts to give the Ram 1500 a distinct off-road look. The truck has been equipped with a two-inch lift kit, aluminum running boards, black 18 x 8-inch cast-aluminum beadlock wheels, 35-inch Goodyear DuraTrac tires, wheel flares, and metallic skid plates. Mopar has also added a spare tire in the bed, a bed step, and plenty of aggressive graphics. Under the hood sits a 5.7-liter HEMI V8 engine with an upgraded Mopar “Ram Airflow” cold-air intake system. Inside, the truck has been transformed with a black monochromatic look rather than the standard red anodized Rebel trim. In contrast to the Rebel Concept, the Ram 1500 Big Horn “Low Down” Concept is built for the street. Mopar created a unique look using a custom “Brassphault” color palette with a two-tone paint scheme. The bottom half of the truck is painted Billet Silver, while the top half is a custom, Gloss Black. The truck has been lowered two inches using a prototype lowering kit to provide a more aggressive stance. Further aiding the street-ready looks are 22-inch wheels in Gloss Black with Brass Monkey accents. Under the hood, the Big Horn "Low Down" Concept is also powered by a 5.7-liter HEMI V8. 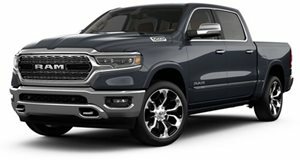 These Ram trucks are the first of many Mopar vehicles to be revealed at SEMA, so we'll be keeping an eye out for any other reveals later next week.